East Finchley is a place in the London Borough of Barnet. It is suburban development situated 5.4 miles (8.7 km) north north-west of Charing Cross. 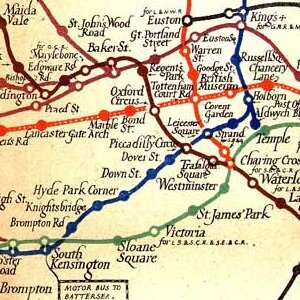 Geographically it is somewhat separated from the rest of Finchley, with North Finchley (and indeed West Finchley) to the north, and Finchley Central and Finchley Church End to the west. 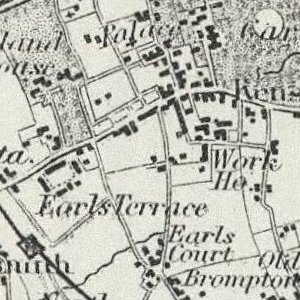 The land on which East Finchley now stands was once part of the Bishop of London’s hunting ground. 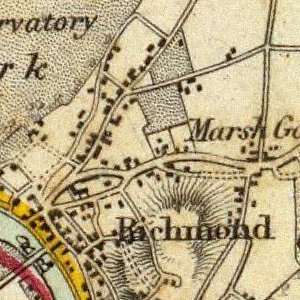 More recently, it was home to some grand ’country’ estates of wealthy Londoners, from which several roads take their names (e.g. Summerlee Avenue, Park Hall Road). 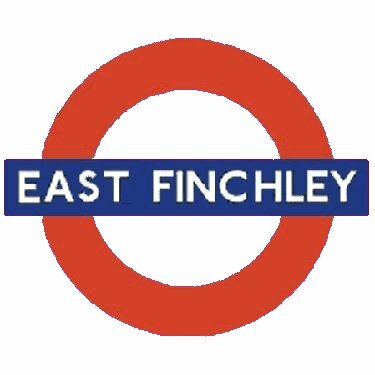 At one time East Finchley was referred to as the "East End" but this name faded away and now only refers to the more famous "East End of London" to the east of Central London. East Finchley Underground Station on the Northern Line is actually above ground. 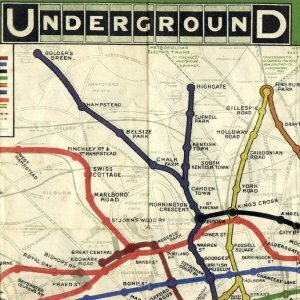 It is topped by a famous statue of an archer, created in the Art Deco style, and pointing his arrow towards the other end of the tunnel which starts south of the station and runs all the way to the end of the Northern Line at Morden. This 27.8 km long tunnel was for many years the longest in the world. There was originally an arrow at Morden Station to match the archer at East Finchley, but this was stolen not long after the station was opened. East Finchley station is the closest station to the northern Northern Line depot at Highgate, and as such is one of the bases for Northern Line train drivers and administrative staff. East Finchley is home to the UK headquarters of McDonalds, which is located next to the station. Plans to open a McDonalds restaurant in East Finchley were resisted by locals, although the High Road is now home to several continental-style cafes in addition to two supermarkets and dozens of other convenience shops. 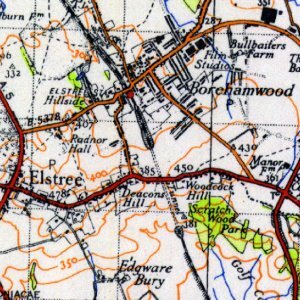 There are several public houses in East Finchley, including The Bald Faced Stag, an historic inn on one of the main routes into London. The independent Phoenix Cinema is located on the high road. Housing in East Finchley is diverse in its nature, encompassing most housing styles, from 19th Century terraced housing and 1960s council estates (with inappropriately appealing names, for example The Grange, Strawberry Vale, the Thomas More Estate, etc.) to multi-million pound mansions on The Bishop’s Avenue. The three 11-storey tower blocks near to the centre of East Finchley are visible for miles around. East Finchley has several state primary schools, including Martin Infant and Junior Schools, and Holy Trinity Primary School. There are two secondary schools in East Finchley itself - Bishop Douglass RC High School (Roman Catholic and mixed) and Christ’s College (boys only up to Year 11, mixed sixth form). 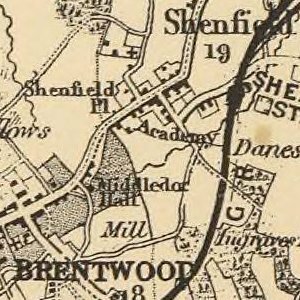 Many local children attend schools elsewhere in the London Borough of Barnet, or for those living in the direction of Muswell Hill to the east of the High Road, Fortismere School (mixed comprehensive, falls under the London Borough of Haringey Local Education Authority). Local children also attend private schools as far away as Hertfordshire, generally meeting with other children in Hampstead Garden Suburb to ride private coaches to different schools.